It’s been very long now since brand new inventions were introduced to the world, and by inventions I mean in that in the true sense of the word – new products or methods doing something which have never been seen before, in any shape or form. That’s not necessarily a bad thing though, because what it really means is that as a society, the human race has pretty much figured this survival thing out, which is why innovation these days takes the form of what are referred to as disruptions. It is with this thinking in mind that we introduce the different ways of profiting from the textiles industry, one of which is that which has you forgetting about wanting to become something like a braid manufacturer, rather choosing to resell the braids which are manufactured by players in the industry who have been at it for close on a century now. We’ve already touched on reselling as a means through which to profit from the textiles business, but I had to formally mention it to make it official and give the practice an official title. The basics of reselling in the textiles industry would be sourcing some of the ready-made products which form part of the industry, such as cords, ropes, braids, etc., but the aim would be to source them at a price which is lower than that at which you’d sell them. It’s all a bit obvious, isn’t it, but again, it needs to be mentioned because an important factor to consider which can make for the difference between success and failure is that of the need to focus on volumes. Profit margins on products such as these would naturally be tiny, so you’d need to push some serious numbers if you’re to make decent profits. Operating as something like a braid supplier is very similar to being a reseller, except as a supplier you target specific clients who are in a sense repeat clients. 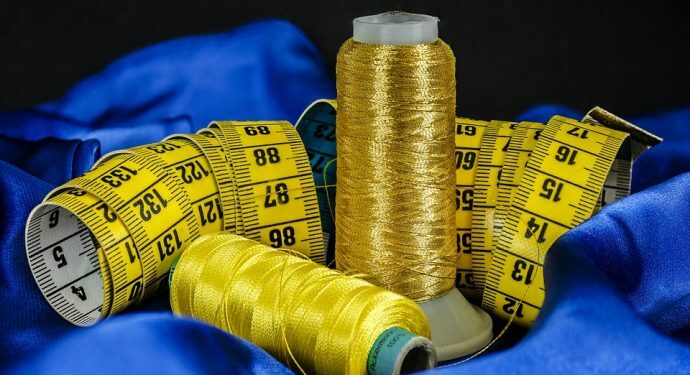 You source the goods from the original supplier, for example and supply them to a specific tailor or clothing manufacturer over a long-term contractual arrangement. We’re now entering into some higher-level operation, which is commendable enough, but I still prefer simplicity over a demonstration of skill as you would do if profited from the textiles industry through product integration. This simply means you use the goods sourced from the likes of original supplier La Industrial Algodonera, to create products which subsequently have added value you can sell for a much higher profit. The easiest way to get into any industry is through marketing and advertising, but it’s not necessarily the easiest to make a profit out of. In any case, if you run knowledge-base publication channels such as a blog or a review site with a focus on a niche that is directly or indirectly linked to the textiles industry, that makes for a great medium through which to sell products and even some services related to the industry, as an affiliate or reseller, or to simply sell advertising space to business in the textiles industry.